The Kraft Foods factory was a great location to capture pollution. It is also very convenient due to it being a short drive away from home. From one spot across the road I managed to shoot both the factory’s pollution and the surrounding greenery. My objective was to demonstrate how contradicting the conditions of an area can be. I kept the shots in colour to emphasize the contamination in the sky. To capture the harmful gases, dust and smoke against the living beings which manage to survive around it. Brief – Use the same scene, capture it from two different angles. Using two depths of field I captured two photographs of the same area within the memorial grounds. One focused on the red and white tulips illuminated by the warm sun. In this shot my aim was to portray the natural beauty of life, whilst blurring the gravestones in the background. In the next shot I changed my focus to the gravestones. The broken-hearted stone as the main focal point, this contrasted with my previous shot as it symbolises grievance, emotion and fatality. Whilst photographing in this location it was important to stay respectful and keep a delicate approach. My intention was to shoot the egg looking very ordinary and then with the help of light show the egg in a very different perspective by exposing the life inside it. To capture the eggs I first used the umbrella lighting from the side-on, this created lovely soft shadows around the edges of the subject and revealed the shell’s texture. 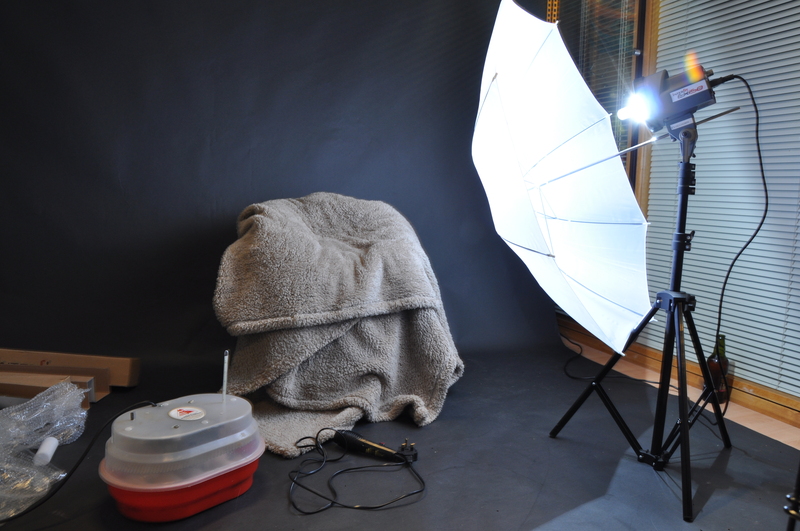 When using the candler I turned off the umbrella lighting and relied purely on the artificial light from the candler. I took photos of eggs with and without an embryo to show the distinction. At this stage I was at the very beginning of the course, still trying to understand the Open College of Arts’ process and what is expected of me as a student. The guidance which I received I think needed to be more precise as I felt quite confused and unsure of the assessment criteria, for example the best way to set out my work hence the paper-based learning-log. If I was to return to this assignment I would perhaps try to find an artist to incorporate more context into my work and take influence from. I would also consider improving the way I have presented my work by using an idea based more around image manipulation to challenge how photographs provide proof/truth. However as this was my first assignment I believe that I provided a good warm up to rest of the course. Displaying evidence of my potential, ability communicate creative ideas and experiment with them.